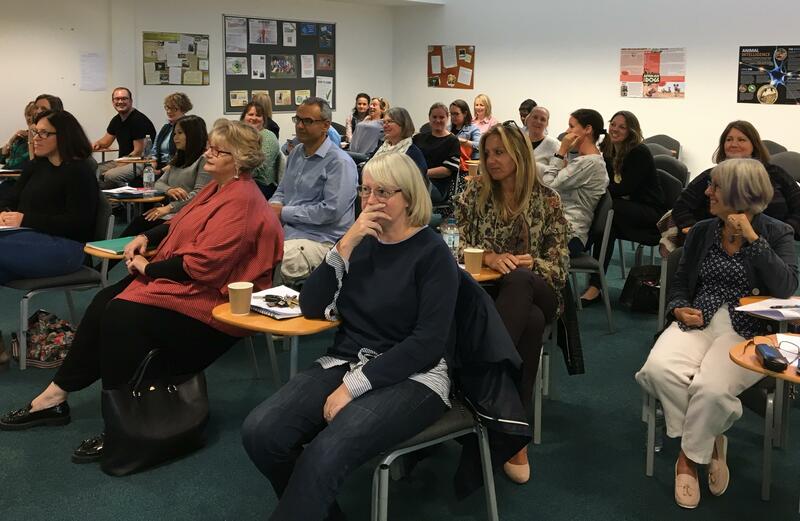 At The Eaves we hold regular training events and workshops for our practitioners in order to help with their Continuing Professional Development (CPD). At the end of September we held a workshop on Post-Natal Mental Health. This was presented by Psychotherapist Dr Jo Gee who is in private practice at The Eaves and founder of Mummas Wellbeing, a specialist women’s health and wellbeing service in Surrey. The workshop explored common postnatal mental health conditions including Post-Natal Depression, Post-Natal Anxiety, Post-Natal OCD and Postpartum Psychosis. Pre and post natal mental health conditions affect 1 in 5 new mothers, with Post-Natal Depression the most prevalent. There is an increased risk in those who have a history of depression and anxiety. Only 1.7% are referred to specialist services. Pregnancy and the birth of a child can be a difficult time for some, with high expectations from families and friends, adjusting to a new life, lack of sleep, pressure on relationships and isolation all contributing to Post-Natal mental health issues. The birth itself can often be traumatic, with birth plans being changed due to difficult circumstances and the expectation of the perfect experience bringing additional pressure. Our next workshop is taking place in November and will be presented by Eaves practitioner Trish Barry Relph titled ‘Tailoring clinical interventions to fit the problem: Children’s contact with their parents following parental separation’.